Collage of gel-print textures. A huge, happy picture. I did this for my Mum’s new conservatory, so that whatever the weather outside, it was always high summer inside. Children enjoy finding the 7 small creatures. 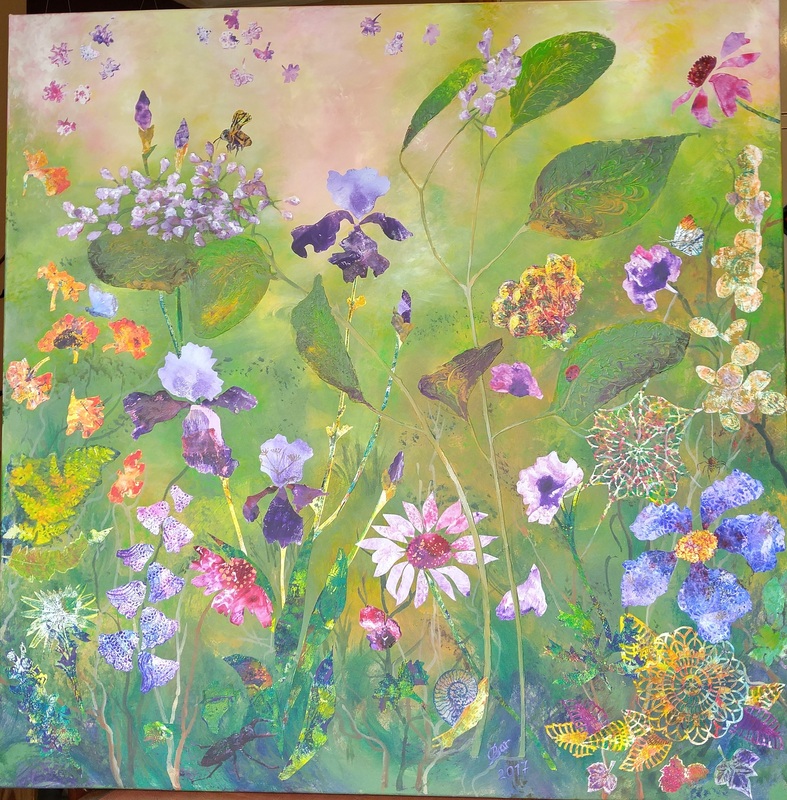 nothing is painted; all done with paint on a gel plate, manipulated with textures and leaves, then cut out to form the petals and shapes I wanted. Lace and doilies make great textures for blossom and webs. This one could have sold a hundred times, but Mum’s not letting this one go!